About: Indraprastha University Common Entrance Test (IPU CET) is an entrance exam at the university level for admission to various Undergraduate and Postgraduate courses in Engineering, Dental, Medicine, Law, and Management. The process starts with online registration form and ends on counselling. Authority: IPU CET is conducted every year by Guru Gobind Singh Indraprastha University [GGSIPU], Delhi for aspirants to get admission into it's various undergraduate and postgraduate courses. Courses: IPU CET 2019 offers programmes like B.Com, B.Tech, MBA, MCA, LLB, BAMS, BHMS and BBA. Level: IPU CET 2019 is a University level exam which will be conducted between 4th May 2019 and 2nd June 2019. Pattern: The exam will be conducted in offline mode which comprises 150 MCQ's for a duration of 150 minutes. Syllabus and Exam pattern varies for different courses. For every question one answers correctly, he/she would get 4 marks and 1 mark will be deducted for every incorrect answer. Application Form: Application Form will be available on the official website from 22nd March 2019 and the last date has not yet been revealed in the official website. But it is expected that last date will be in the second last week of April 2019. Admit Card: The IPU CET 2019 admit card dates have not yet been disclosed. Candidates have to wait for the official notification to know about the hall ticket. With that being said, it is expected that the admit card will get released in the last week of April 2019. Exam Date: IPU CET 2019 will be conducted from 4th May 2019 through offline i.e. Paper and Pen-based Test (PBT). Result: The result will be declared by the university on the official website. The exam for each particular course has an exclusive result date. Therefore, IPU CET exam result dates are displayed in a clear manner in the important dates section. Counselling: The counselling will be conducted for the candidates who have cleared the IPU CET 2019. It will be conducted in three rounds, with the first one starting on 18.06.2019 and ending with the final and third round of counselling on 10.08.2019. The dates are however, tentative and are liable to change, hence the candidates must visit the official website. Get more information about the dates in the IPU CET 2019 Important Dates section. For UG courses: Candidates should have passed 10+2 examination with minimum 55% marks from any of the Govt. recognized board of education, and for PG courses candidates need to complete graduation with a minimum of 55% aggregate. For PG Course: Candidates must have passed a Bachelor's Degree with a minimum of 55% marks from any recognized institutions. Age: A candidate must not be more than 21 years or less than 18 years to be eligible for UG and PG course. Nationality: The candidate must be an Indian citizen and must have a nationality proof during the time of admission. Get more information about the qualification in the IPU CET 2019 Eligibility section. GGSIPU provides reservations for candidates who hail from Delhi and some percentage of seats is secured for candidates from outside Delhi. If the college is self-financing, 10% of seats will be reserved for candidates from management quota. Syllabus: The Syllabus contents of the IPU CET is similar to the NCERT portions of class 11th and 12th standard. IPU CET 2019 includes topics from subjects such as Physics, Chemistry, and Mathematics. Candidates must go through the following subjects to secure good marks in the examination. Mode: IPU CET 2019 will be conducted offline i.e. Pen and Paper-based Test (PBT) and the time given for completion of the test is 2 hours and 30 minutes. For B.Tech Biotechnology, it will be 3 hours. Marking Scheme: There will be a total of 150 Questions each will be given 4 marks and for every wrong answer 1 mark will be deducted. Medium: IPU CET 2019 will be conducted in English medium only. Get more information about paper pattern in IPU CET 2019 Exam Pattern section. Application Form Date: The Application Form will be available on the official website from 22nd March 2019 and the last date to submit the Application Form will be updated on the official website. The tentative last date to submit the application is in the second last week of April 2019. Sign Up: Candidates have to register themselves on the official website to fill the IPU CET 2019 Application Form. Registration Fee: Candidates need to pay INR 1000/- as a registration fee through online (Credit Card/ Debit Card/ Net Banking). Get more information about registration form in the IPU CET 2019 Application Form section. Filling of Application: Fill all the mandatory details in the Application Form such as Personal, Academic, Communication details. Documents to be Uploaded: Upload the scanned images of the latest passport size photograph and signature. Registration Fee: Candidates can pay the application fee either via online or offline method. Get more information about application form in IPU CET 2019 Application Process section. IPU CET Application Form Correction 2019 will be started in the month of June 2019 (tentative). The correction facility will be provided by the GGSIPU (Guru Gobind Singh Indraprastha University). The University organizes CET for admission into various UG and PG courses offered in different fields like engineering, medical, management, law, computer applications, etc. It can be done only through offline mode. The correction facility will be opened only if a particular applicant requests for correction. Correction window will be opened in the month of June 2019. Candidates are allowed to make the correction on working days between 10 AM to 4 PM. Only those candidates who successfully submit the IPU CET 2019 application form and complete all stages of the application process are eligible to opt for correction. Students are advised to be very careful while selecting the CET for which they are going to apply because no correction is permitted after the application form is submitted. If there is any correction required in date of birth, spelling of the applicant’s name or parent’s name and choice of category for an availing reservation then, candidates will be required to submit an application request in physical form (offline) for the purpose of correction. Benefits: Studying from the reference books will help the candidates score better marks in the IPU CET 2019 exam. Reference Books: Few of the popular books that can be referred to the aspirants are Physics vol. 1 by Resnick/ Halliday and Organic Chemistry by Robert Thornton Morrison. Get more information about the books in the IPU CET 2019 Reference Books section. Cities: GGSIPU (Guru Gobind Singh Indraprastha University) has announced the official list of IPU CET Exam Centers 2019. IPU CET 2019 will be conducted across 15 cities across India. Choice: Candidates are asked to select their preferred IPU CET Exam Center at the time of filling the IPUCET Application Form. Exception: IPU CET 2019 has a test centre for all courses except MBA, MCA, and B.Tech courses in Delhi. Admit Card: Final allotment of exam centre will be mentioned in IPU CET 2019 Admit Card. Get more information about test centres in the IPU CET 2019 Exam Centres section. Credentials: IPU CET 2019 Admit Card release date has not yet been mentioned on the official website. But once when it is out the candidates are expected to download the admit card by entering the Login ID and Password. The Admit card for CET exam will be released 5 days before the exam date by GGSIPU. Details: Admit Card will contain the applicant's Name, Date, Time and Exam Centre of the candidate. The candidates are required to carry the Admit Card to the Exam Centre. Get more information about the hall ticket in the IPU CET 2019 Admit Card section. Date: IPU CET 2019 Results will be declared on result date as specified for each exam on the official website. For IPU CET, Bio Technology, the result will be announced on June 7, 2019. Candidates can check their result from the official website of IPU CET 2019. Credentials: Candidates need to enter their Registration Number and Date of Birth for logging in and save it for future reference. Scorecard: The overall and sectional marks, roll number and ranks are available on the scorecard. Cut-off: IPU CET Cut-off is prepared on the basis of availability of seats, number of candidates and the difficulty of the exam. Get more information about the results in the IPU CET 2019 Results section. GGSIPU conducts IPUCET MBA exams for post-graduate management courses. Under IPU 19 institutes admit candidates based on their performance in IPUCET score. Given below are the top MBA colleges under GGSIPU . The table also gives the category wise split up for the number of seats. Counselling Date: Registration for IPU CET 2019 will begin from 18th June 2019 to 25th June, 2019. Furthermore, Counselling will also begin from 18th June 2019. Merit List: A merit list will be prepared on the basis of scores obtained by candidates in IPU CET. Counselling Fee: Candidate should pay INR 1000/- through either online or offline mode as counselling registration fee. Get more information about counselling in the IPU CET 2019 Counselling section. Q: What is the minimum percentage of mark required for the candidates to apply for IPU CET? In case a candidate wants to get admission in the undergraduate course, he/she must have secured 55% aggregate in class XII from any recognised board. To gain admission into a postgraduate course, a candidate must have scored 55% aggregate in their Bachelor's degree. Q: Is age limit set as an eligibility criterion? Yes. To gain admission into IPU CET, candidates should not be less than 18 years of age but also not more than 21 years of age for an undergraduate course. A candidate should not be less than 21 years of age to be eligible to gain admission in a postgraduate course. Q: What is the maximum age limit for a candidate to apply for vocational courses? Candidates should not be more than 45 years of age to apply for IPU CET. Q: Does IP university follow reservation system based on the domicile? Yes. 85% of the total seats are reserved for the candidates from Delhi. Rest of the seats are allotted for the students outside Delhi. Q: How are the candidates admitted into B.Arch course in IP university? Candidates are admitted into B.Arch course based on their "NATA score". If a candidate did not get the required marks in NATA, he/she will not be able to get admission into B.Arch course. Q: How much is the counselling fee? Candidates should pay a counselling fee of INR 1000 either through any of the online method or by an offline method. Q: When does the candidate need to pay the admission fee for IP university? Candidates need to pay a part of admission fee once the seat is allotted in the counselling. Q: Does a candidate have the liberty to select IPU CET exam centre? Candidates applying for B.Tech, MCA and MBA cannot choose the exam centre. They will have to write an exam in Delhi. Candidates applying for other courses only will be able to select the centre. Commencement of Application Process: The IPU CET 2019 Application Process will commence from 22nd March 2019. Last Date of Application: The IPU CET 2019 Application Process will end on 1st May 2019. Admit card Availability: The IPU CET 2019 Admit Card will be made Available from 4th May 2019. Result Date: The IPU CET 2019 results will be declared on 3rd June 2019. Counselling Date: The IPU CET 2019 Counselling will be held from 18th June 2019. Eligibility for B.Tech: The Candidate must score a minimum of 55% in 10th and 12th with subjects like Physics, Chemistry, and Mathematics. They must also pass English. Eligibility for BCA: The candidate must pass English and Mathematics as the subjects. They must secure a minimum of 50% aggregate in the qualifying exam. Eligibility for BBA: They must secure a minimum of 50% marks on the qualifying exam. Eligibility for MBA: The candidate must get an aggregate of 50% in Bachelors degree or they should have passed the final examination from ICAI or ICWA of India/England or ICSI. Eligibility for MCA: The candidate must secure a minimum of 50% in Bachelors degree. They should have passed 10th and 12th with Mathematics and English as their subjects. Selecting Category of Exam: The interested IPU CET 2019 candidates must select an exam category. Application Form Details: IPU CET 2019 candidates must fill in the required information like personal details, educational details etc. Uploading Details: Upload the Image in JPEG/JPG or in GIF format and the size of the photograph should be less than 80 KB. Selecting the Centre: Candidate should select the exam centre. They must submit the IPU CET 2019 application form after filling in the required details and checking it. Application Fee: The application fee must be paid either by debit/credit card/net banking. The application fee for IPU CET 2019 is Rs. 1000/-. Application Form Fill up Date: Candidates can fill the application form for IPU CET 2019 from 22nd March 2019. Official site: Application form can only be filled only from the official website. Application Form Submitting Date: Candidates can fill the application form till 1st May 2019. Payment: The application fee is same all candidate irrespective of his/her category and Candidates have to pay Rs. 1000/- for each course he/she applies for. Note: Candidates must ensure that there are no mistakes in the registration as it could amount to the rejection. Availability: Candidates can download the admit card from 4th May 2019. Official Website: The candidate must visit the official website for IPU CET. Login: They must enter the login ID and password. Download link: Then the candidate must click on the link to download the IPU CET admit card. Print out: The admit card must be downloaded and printed. Must Carry: They must carry the admit card to the exam hall failing which they will not be allowed to write the exam. Mode: IPU CET is pen paper-based exam, in which candidate has to fill in the OMR sheet. Paper Pattern: The question paper consists of Multiple Choice Questions (MCQs). Duration: Candidates needs to solve 150 questions in 150 minutes. Total Number of Marks: The total marks will be 600 (Except for MBBS, PGMC, and SSMC exam). For Correct Answer: The candidate will be awarded 4 marks for every correct answer. Deducting Mark: One mark will be deducted for each wrong answer(Except for MBBS, PGMC, and SSMC exam). Questions Asked From the Syllabus: The questions are asked from the syllabus of 11th and 12th standards for the IPU CET 2019 examination. Result Date: The result of IPU CET 2019 declares on 3rd June 2019. Official Website: The candidate must go to the official website. Result Link: They must click on the link for result. login details: The course name, IPU CET roll number, login, and password must be entered. Download: The results will appear on the screen. The results must be downloaded and saved. Printout: A printout must be taken for the future purpose. Merit List: A merit list will be prepared based on marks obtained by the candidate. Commencement: The process of counselling starts from 18th June 2019.
venue of Counselling: The counselling venue will be notified in the counselling schedule on the University's website. A number of rounds in counselling: There will be around 3 rounds in the counselling process. Counselling fee: The counselling fee will be around INR 40,000. It has to be paid before or at the time of the 1st round of Counselling. Refund of Counselling fee: If the candidate withdraws from the application procedure, an amount of INR 1,000 will be deducted and the balance will be refunded. Eligibility criteria were to get good rank in IPU CET examination- IPU CET 3000-10000 was the typical cutoff to get admission in this college. The candidate must be having a 50% in aggregate in 10+2 examination or senior school certificate examination of C.B.S.E. or other boards as the qualifying marks for IPU admission to B.tech Should have passed 10+2 (or equivalent) examination. The candidates who will be appearing for 12th standard or equivalent exam in 2018 will also be eligible for admissions through IPU CET 2018. ● 66% marks in +2. ● IPU CET test is mandatory. ● the required cutoff is up to 20,000 rank holder. 1.The eligibility criteria for our college is a candidate should have passed his/her 12th CBSE board examination with min 50% marks with any stream of his/her choice and should have cleared IPU CET exam which is conducted by IP university. Admission procedure for BBA is a candidate should have appeared for IPU CET for getting admission in Our college. Well, the eligibility criteria for my college was an entrance test known as IPU CET. I came here after IPU CET entrance exam test. You just have to rank in first 20, then the admission for you is easy in this college. The Criteria for the admission is on the basis of IPU CET Entrance test based on your ranks you get evening or morning shifts. Entrance is based on 10-12th syllabus maths English and basics but it includes negative marking There is no cutoff in IPU University you get the course on the ranks from your entrance exams. The student must pass the 12th grade with the good percentage and IPU CET is the entrance exam to get the admission in this college. The cutoff is around 60%. The admission process in this college or any other college is through the IPU CET common entrance test. Based on your ranking in this test, you can apply for different colleges and different courses. Since I belong to the Sikh minority, I had some relaxation in the cutoffs (This is a Sikh minority college). I had a rank of 35,000 and got IT branch in the second counseling but for non-Sikh students, the cutoff is somewhere around 5,000 to 7,000. The eligibility criteria for appearing in IPU CET is that a student should have a minimum of 60% as aggregate in PCM in class 12th. In case if application fee is paid more than once then Is it refundable? Yes, it will be refunded to the same account within 7 working days. To know more details about the application form details, click on the link here. When is the exam date of IPU CET 2018 B. Ed. course? Firstly it was on May 12th, 2018 but now its updated to 19th May 2018. You can check the Important Date details in the link here. Hi, I am Pratikshya I need Some Sample papers of IPU CET. Can you provide me with that? Hi Pratikshya, there are various subjects in IPU CET Exam. To KNow More About the Sample PApers and to get the sample papers, click here. Hi, I am Kalpita need to know the colleges which accepts IPU CET score? To know about the colleges accepting IPU CET score, click here. MBBS in IPU through IPU CET or NEET? Can I still apply for IPU CET for pursuing MBBS at the campus or should I apply for NEET? NEET has replaced all the Medical Entrance Exams in India. So, I advise you to apply to NEET to get an admission into Guru Gobind Singh Indraprastha University for pursuing MMBS, as IPU CET no longer holds the ability to conduct MBBS Entrance tests. Exam Fee for each category in IPU CET? Will the Application Form Fee be the same for all caste and categories in IPU CET? Yes, the Application Form Fee will be the same for all castes' and categories in IPU CET. It will cost an individual Rs.750 as for the Application Form Fee to IPU CET. Will it be possible for me to get an admission in the University School of Law and Legal Studies, New Delhi via IPU CET for LLB? Yes, it is possible for an individual to gain admission at University School of Law and Legal Studies, New Delhi for BA LLB through IPU CET. Provided, he clears the test with flying colours to be eligible for The University School of Law and Legal Studies, New Delhi. Can you give me a summary of the IPU CET exam? The Guru Gobind Singh Indraprastha University Common Entrance Test (GGS IPU CET) is conducted by the Guru Gobind Singh Indraprastha University (GGS IPU), Delhi. It is a National level exam. The courses offered are B.Tech., B.Com, MCA, LLB, MBA, BCA, B.Arch and BBA. The IPU CET exam is an Offline written test. The exam will be in English. There are around 57 participating colleges. The official address is Guru Gobind Singh Indraprastha University, Sector – 16C Dwarka, Delhi – 110078, India. What is the full form of GGS IPU CET? 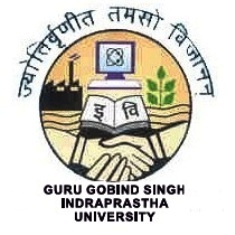 The full form of GGS IPU CET is Guru Gobind Singh Indraprastha University Common Entrance Test.